Bringing a pet into your life can be a lot of fun. But you need to take care of your dogs, cats, and other pets. We have already covered plenty of trackers, toys and apps for dogs and cats. 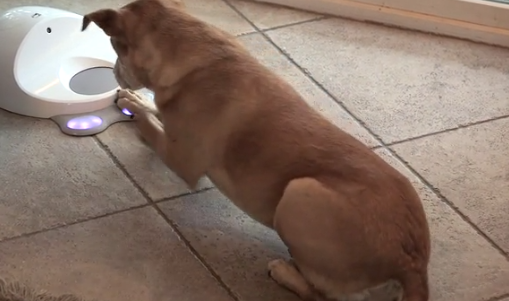 CleverPet happens to be a new device that allows you to entertain your dog even when you are not around. It not only teaches and trains your pet but also feeds it. 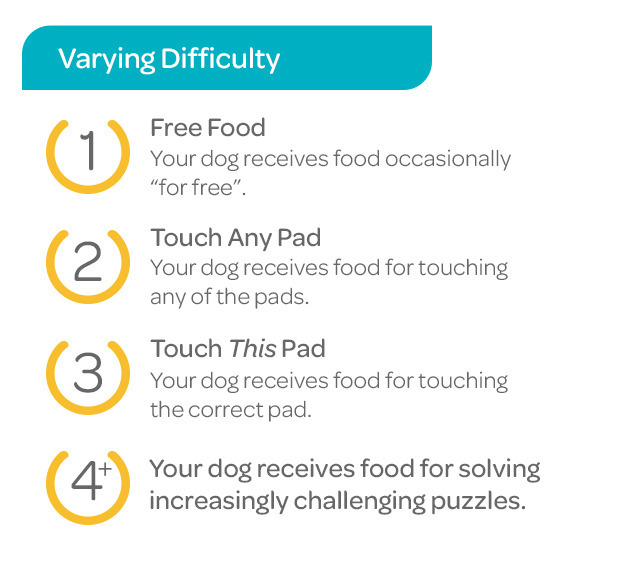 You can adjust its settings, so your dog can complete the puzzles without any issues. The device connects to the Internet over WiFi and has a microphone that listens for dog barks. You can also play your own voice for your pet. CleverPet provides your pet with an engaging experience. As your dog learns something new, it is rewarded with food. The device has three sensitive touch pads that light up interactively. They are designed for your pet’s nose or paw. Food can be won by touching the pads on the device. The system has varying difficulty levels. You can give your pet food for free or when it touches any pad. There are more challenging levels available too. CleverPet is compatible with iOS and Android devices. Just download its app to monitor your dog’s activities and set up a schedule for your pet. The device is built on Spark Core. You can get it on Kickstarter.